52 Quilts in 52 Weeks: We have a winner! Who needs the Random Number Generator when you have the Aubry Number Generator? Congrats on the milestone! It's always exciting to see your blog grow! Lori is a teacher who has been blogging less than one year, and sewing for less than two years -- and you should see the quilts she has made! This girlie has a J.O.B. and could give me a run for the money in productivity. 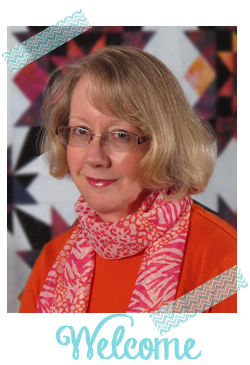 Not only that, but she was featured on GenXQuilters "First Quilts on the First." Congratulations, Lori! Email your mailing address to me at AuntMarti at 52quilts dot com so I can send out your charm pack. There may be one or two other little goodies I've collected, as well. Also, because it just isn't a blog post without a photo, here is a picture of my "Backyard Springtime" row quilt. It was a 2011 UFO that is promised to my BFF Jeannie for her niece's graduation quilt (see, Jeannie, I remember!). I started it as a BOM from Stitchin' Heaven in Quitman Heaven. Now I must get to work on my HST challenge triangles. They won't trim themselves, you know! Congratulations to Lori - and the quilt? ?